Get the perfect driveway for your property by hiring our contractors. At CT Driveways, we build driveways using various materials, while you can rest assured that the installation is completed by experts. There are many ways to make improvements to your garden, but you should always rely on a team of specialists. Our team will design your garden with a variety of choices of patios, paths and fencing. Whether you are having a retaining wall for your new drive, a decorative wall and pillars or a disabled ramp installed, a solid foundation is crucial. 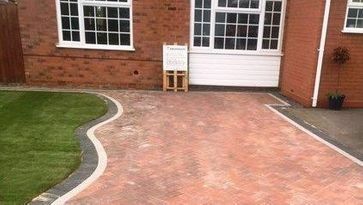 CT Driveways employs expert tradesmen to deliver the services that you need. domestic and commercial customers. Using the finest materials and a wealth of experience, we make sure that the driveway is exactly what you expected and adds to the practicality and appearance of your property. 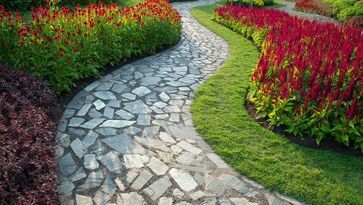 Alongside driveways, we also specialise in paving, patios, hard landscaping and brickwork. We employ a team of skilled contractors. 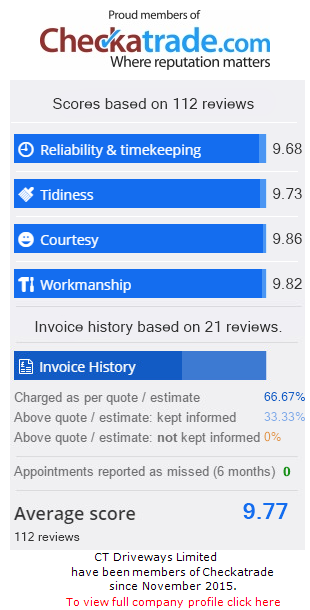 Get in touch with our helpful staff today to discuss your project and receive a free estimate. 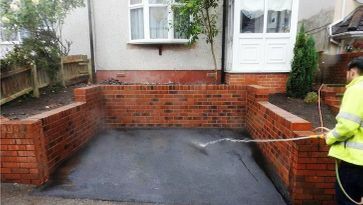 Contact us now for more details about the services provided by our driveway contractors.